Vietnamese community "nail it for rhinos"
HA NOI (VNS) — Vietnamese government oficials, Vietnamese business community, foreign embassies and conservation NGOs gathered yesterday to donate clippings from their fingernails to fill a plastic rhino horn as part of a TRAFFIC and WWF "Nail it for Rhinos" event. 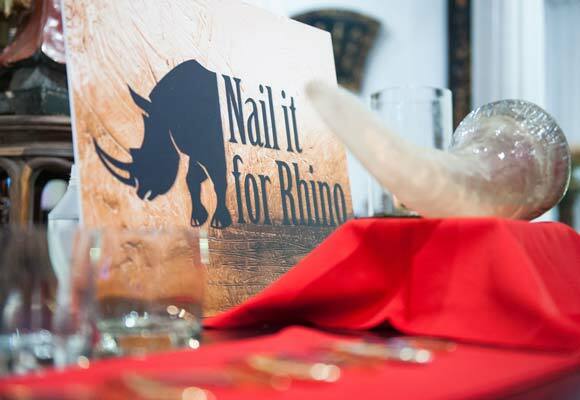 The action, highlighting the similarities between human nails and rhino horn, is symbolic of the zero tolerance towards rhino horn consumption amongst senior members in Vietnamese society. Rhinos are poached at alarming rates in Africa and Asia to feed demand for their horns in countries like Viet Nam, even though the horns are made of keratin, the same substance that makes up human nails. In Viet Nam, rhino horn is purchased for its purported medicinal value or as a status symbol. Now leading figures in Vietnamese society are taking a stand against this pointless and destructive consumption. The World Rhino Day event, hosted by TRAFFIC and WWF with financial support from the French government, the South African Embassy, the Embassy of the Kingdom of the Netherlands, and VietJet Airlines, acknowledged the important leadership demonstrated by key figures in Viet Nam.